This entry was posted in Virtual Space on March 24, 2016 by saadchaudhryme. Coming Soon to a Screen Strapped to your Face: VR is back! The headline in The Guardian 19/03/2016. The article focused on the competition between Playstation VR, the Oculus Rift and the HTC Vive. No matter which company comes out on top all three believe they have the technology and know how to make VR a booming new business though others are not so positive believing it could be the new 3D TV, an expensive buy that never gained popularity. 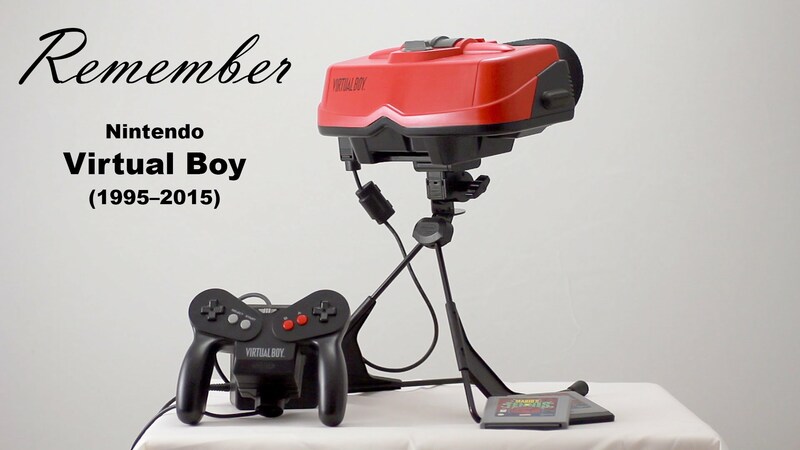 In 1995 Nintendo released Virtual Boy which failed partly due to it’s clunky headset. VRs revival is due to Palmer Luckey, founder of the Oculus rift. He believes that the development of the smartphone was crucial to the improved technology of headsets eg, high resolution screens. The smartphone with cheap end headsets were already a VR product in their own right. How successful the revival of VR will be will be dependent on the content developed for users and the variety of uses. Initially it is thought there will be a niche market of gamers but for the long haul VR has to have an appeal to a much broader market. It seems you can get have an alternative reality anywhere in the universe. Augmented reality really is ‘out of this world.’ Astronauts aboard the international space station played an augmented-reality game of space invaders. 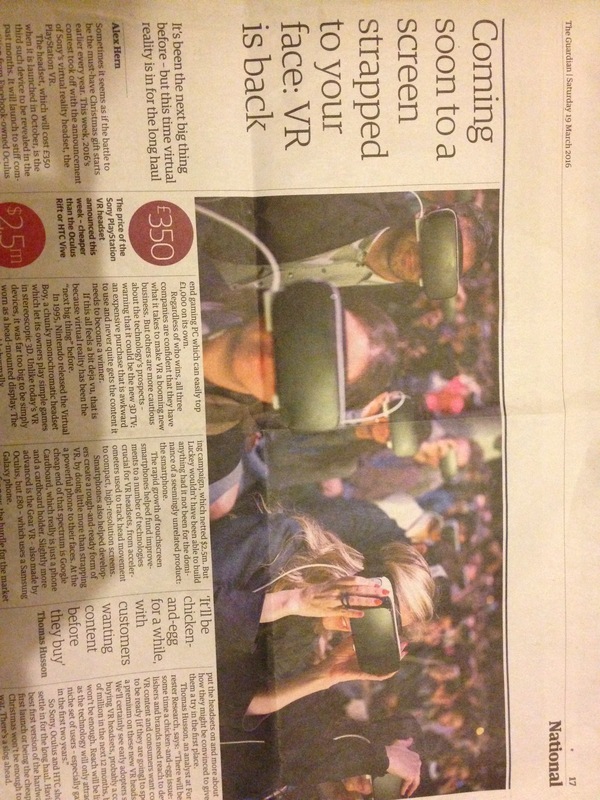 Never before has virtual reality been used in so many applications. It is not just for gaming or entertainment but has real uses as well. The future looks bright for VR. This entry was posted in Virtual Space on March 22, 2016 by saadchaudhryme. ‘Cyberspace is a conceptual electronic space unbounded by distance or other physical limitations.’ William Gibson conceived this term in book Neuromancer (1982). It described the global information network where we create data in graphic and digital form. It is an imaginary non physical space and where this information ends up in. As the internet took off, this belief has become everted into the physical world (Emergence of Digital Humanities, 2013). This digital dualism can be seen in how virtual social networking sites have started taking over how we handle our ‘real’ lives (The New Inquiry, 2012). Technology today is interdependent of each other. Gibson’s influence is evident in the movie franchise The Matrix. The internet is being used differently to how the creators had envisaged, therefore free from regulations and a platform for shared interests and new ideas. Many of the power players have conflicting interests and everyone is trying to control it. Governments are powerless to make policies because companies will transfer to another country where the laws are more relaxed. Multi-national companies are in ongoing ‘tussles’ to control the internet. Some tussles might be conflicting but other times tussles are for complimentary purposes, therefore user sending data that a provider will carry for a price. Without one another the internet would not be able to be used as intended. This entry was posted in Virtual Space on March 19, 2016 by saadchaudhryme. VR is all about letting your imagination go wild. Experience and go to places that you never thought possible and a place for dreams to come true, for at least a little while. I think it would be exciting to create applications according to people’s dreams. It would almost seem like it is tailor made for an individual. For example become Messi or Steven Gerrard, beat Lewis Hamilton in a car race or race alongside Usain Bolt, climb Mount Everest, come first in sports day at school or become the top dog at work. How about creating applications for children to experience a day at work. Many students are often confused for their career choices and it would be ideal to let them experience different careers in VR. For example become a teacher, builder, nurse, office worker, Tv presenter or even the prime minister. This entry was posted in Virtual Space on March 16, 2016 by saadchaudhryme. VR is being used in a wide range of applications. It is not just for gaming or entertainment.